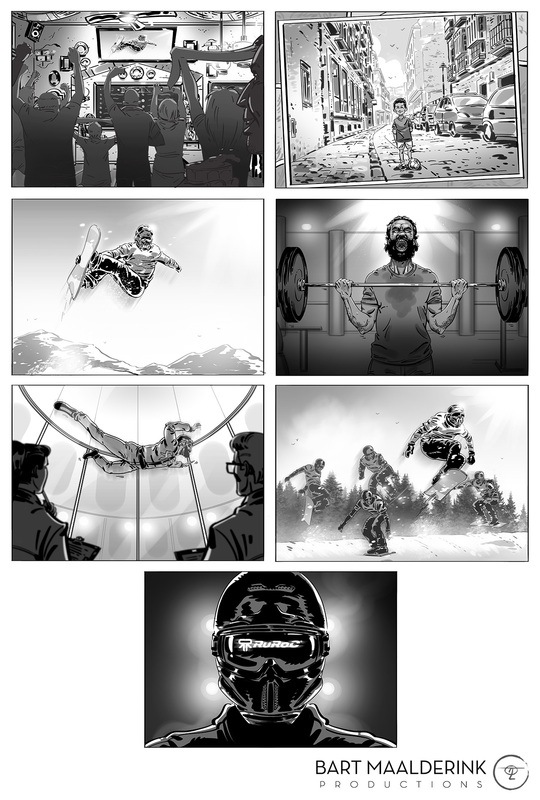 Together with Bart Maalderink I made these beat boards for a new ad campaign featuring the new RuRoc helmet design. This snowboard helmet is unique because it’s all one piece, the visor is integrated into the design. What makes this ad campaign also unique is that it revolves around one particular athlete, in this case Regino Hernández, also known as “El Gato”.